Just 3 hour’s drive from Johannesburg brings you to this wonderfully scenic reserve of 15 000 hectares including 15 kilometres of Komati river frontage (fly fishing is one of the activities on offer!) 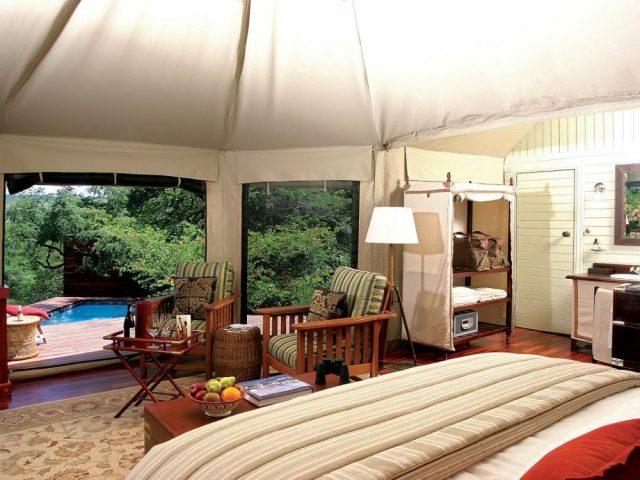 centred around a gorgeous luxury tented camp that lies perched on the river in the imposing shadow of some of the oldest mountains on the planet! DRINKS INCLUDED! Attractive tented camp with a beautiful location along the banks of the Komati River in a scenic reserve full of big game just 3 hours’ drive from Gauteng.